New Hampshire Ball Bearings (Booth No. N3304) has taken advantage of the opportunity at Heli-Expo ’13 to introduce its Oscimax self-lubricating liner technology to show attendees. 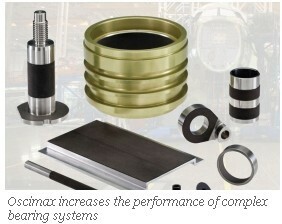 The product, according to the company, increases the performance of complex bearing systems and assemblies such as those found in helicopters. The product is a homogenous formulation made up of a proprietary matrix of thermosetting polymeric resins, PTFE and other compounds that reduce corrosion and resist moisture. Tests conducted on Oscimax XT, the precursor to the new liner, showed that at ambient temperature with no contaminants liner wear rates were less than .004 inches at approximately one million cycles. Applications for Oscimax include landing gear, flight control actuators, engine controls and, well, use your imagination.